When we talk about making payment online, mostly we have a picture to pay through net banking or paying through credit or debit cards. But there are famous services which save your account details to show to others and you can make and receive secure payments such as Paypal, Google Wallet. Paypal Is one of the most trusted brand, when it comes to online payment. In India, paypal is one of the best way to make and receive payments online. You should also know that most of the ad networks pay through PayPal. Paypal account allow you to send payment the same time when you create it, but to receive payments you have to link it with your bank account. 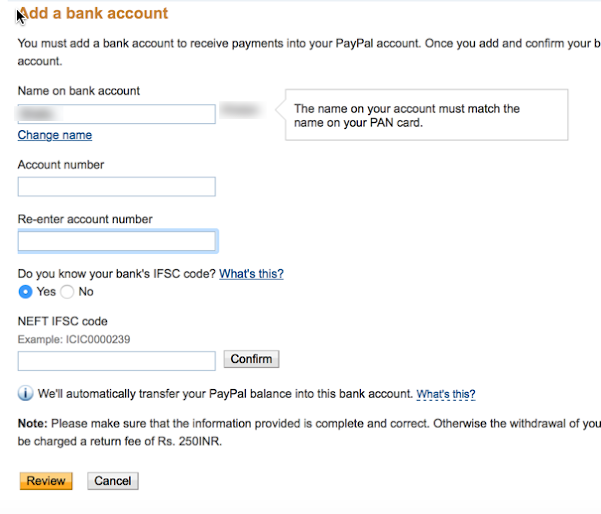 This will remove the limitations from your PayPal account. Usually it take 24 to 72 hours to get payments in your bank account from paypal. In 2010, RBI made it necessary to verify bank details with paypal to send and receive payments. An Indian PayPal user cannot send or receive money from other Indian PayPal users. Make online payment without showing card details. You can also use debit card. Create and send payment invoice. To check if verification is pending or not click here. Make sure that you have same name on both Pan Card and your PayPal account. It take 2-3 working days to Link Bank account to your PayPal account. Enter Your bank IFSC code. You can find IFSC code on your bank account passbook or on their website or on checkbook or you can ask your bank to know IFSC code. 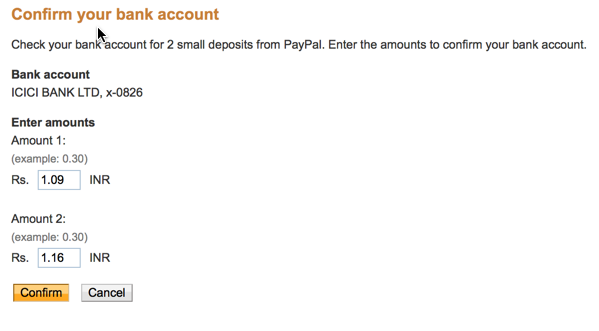 After adding bank details, within a day or two Paypal will send 2 small deposits in your bank account. When you see tis transaction then go to paypal.com and login then click on verify and enter the amount to complete bank account verification and linking. Now you can select purpose code for your transactions. I hope this guide helped you to Create and Verify Paypal Account. If you do have any query, feel free to ask or share via comments. If you like this article share on Google Plus and twitter. Don`t forget to like us on facebook and subscribe eAskme newsletter to get updates.